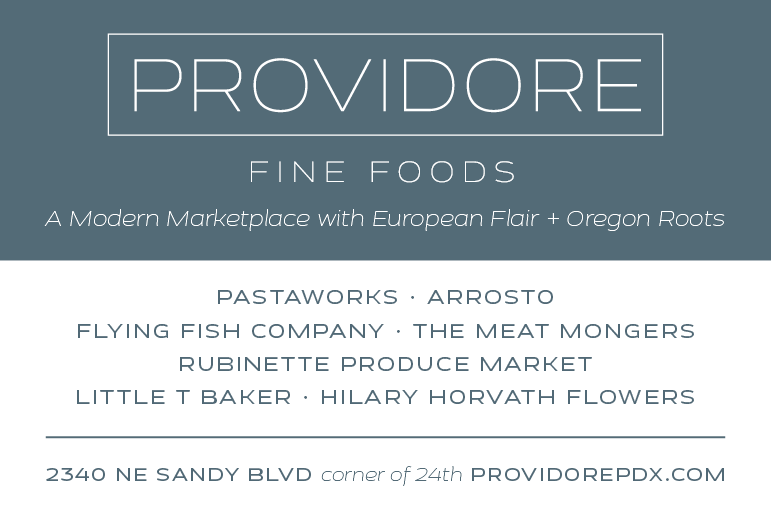 Got foodie friends on your list? People who know their way around a kitchen? For cooks it's easy…think how thrilling it would be to get a basket of pastas, beans or grains with cans of San Marzano tomatoes and a jar of imported salted anchovies. For non-cooks there are scads of jams, jellies, pickles and roasted peppers…or get them a gift certificate from a local cheese shop packaged with a small cutting board and decorative spreaders. 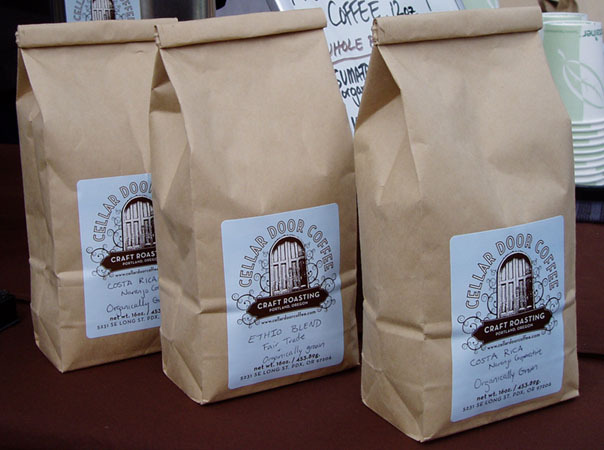 Conjure a selection of coffees or quick cake and bread mixes. Make it even more special by going local, either at the farmers' market or a neighborhood grocery. Cellar Door Coffee Roasters has a wonderful range of coffees sourced from small estates, hand-roasted by Andrea Pastor in the roaster her husband, Jeremy Adams, built. Others to consider: Courier, Coava, Heart, Blue Kangaroo. 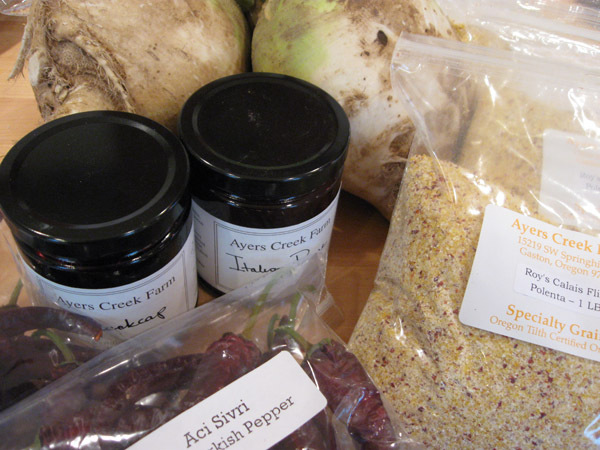 Ayers Creek Farm jams and preserves are without peer and can be found at the Hillsdale Farmers' Market and specialty groceries in town. But don't forget Anthony's organically certified beans, polenta and hominy. Dulcet Cuisine has a killer lineup of mustards, sauces, ketchups and dressings. I'm particularly addicted to their Madras Curry Mustard. Available at Foster & Dobbs and other specialty groceries. Real Good Food's Jim Dixon imports many olive oils from Italy and carries Katz Vinegars as well as Washington's Bluebird farro and Haricot Beans. Find him at the Portland Farmers' Market on Dec. 17, and on Dec. 23 from noon to 3 pm at his warehouse store in the Activspace Building, 833 SE Main #122. Bob's Red Mill has great cake and bread mixes that make great gifts or stocking stuffers and are handy when guests drop in over the holidays. Not always made from local grains, but ground here, they're found at most better grocery stores. Read the other Great Gifting post: Seeing the Art Around You, Giving from the Heart and Keeping Spirits Bright.